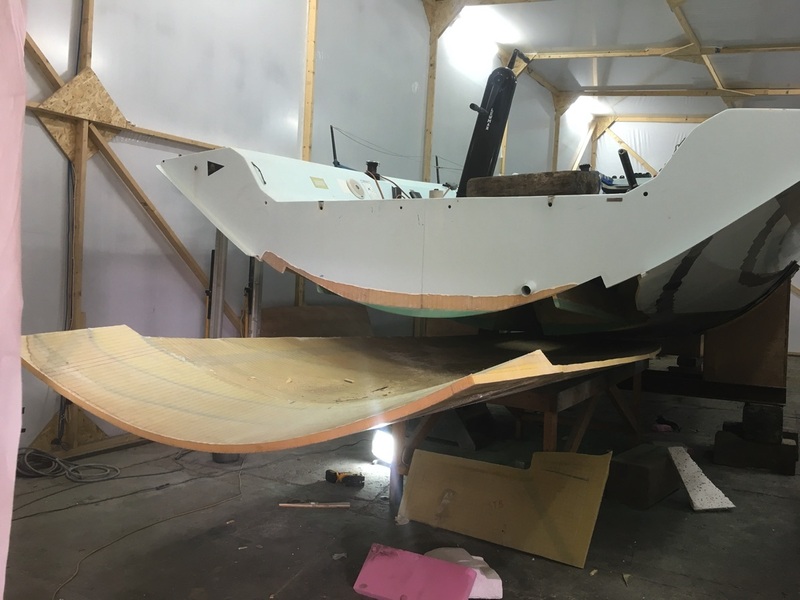 We were purely the boatbuilders on this project working closely with the Ker design office. 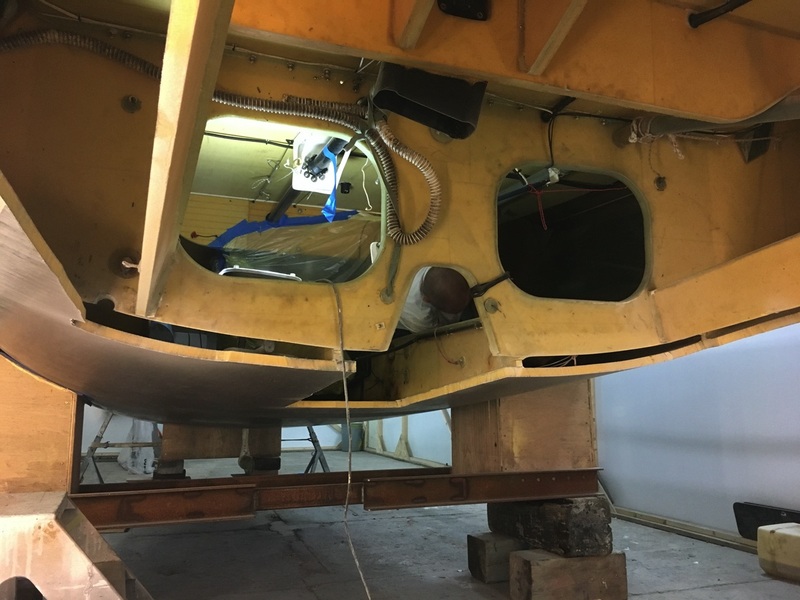 In addition to replacing the underwater shape from just aft of the engine, which also included a transom extension scoop, we also replaced the mast collar and extended the jib track mouldings to enable narrower angle jib sheeting. 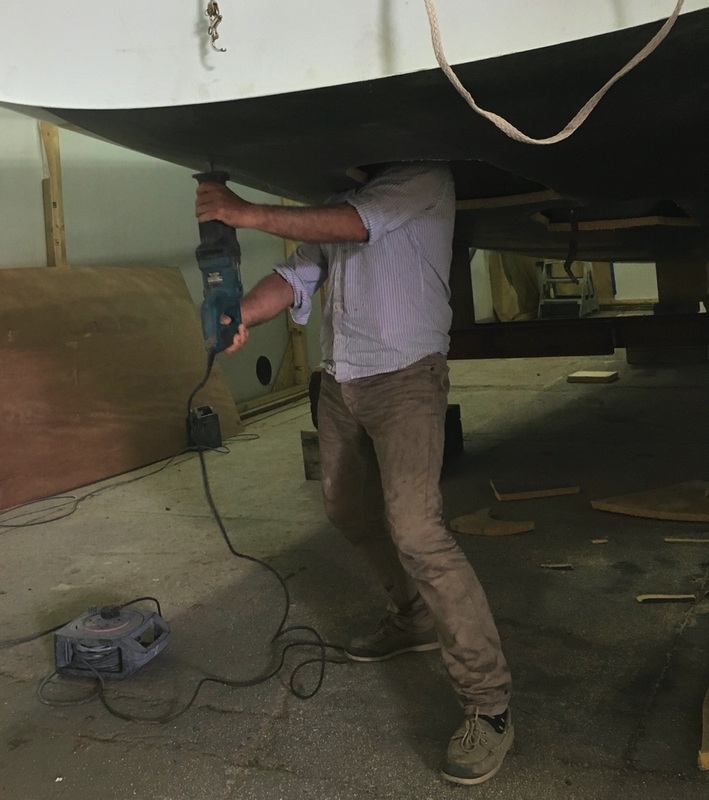 One of the main complications was altering the rudder stock and replacing the bearings with new JP3s for which we enlisted the assistance of Gavin Tappenden who has the composite business next door to us. 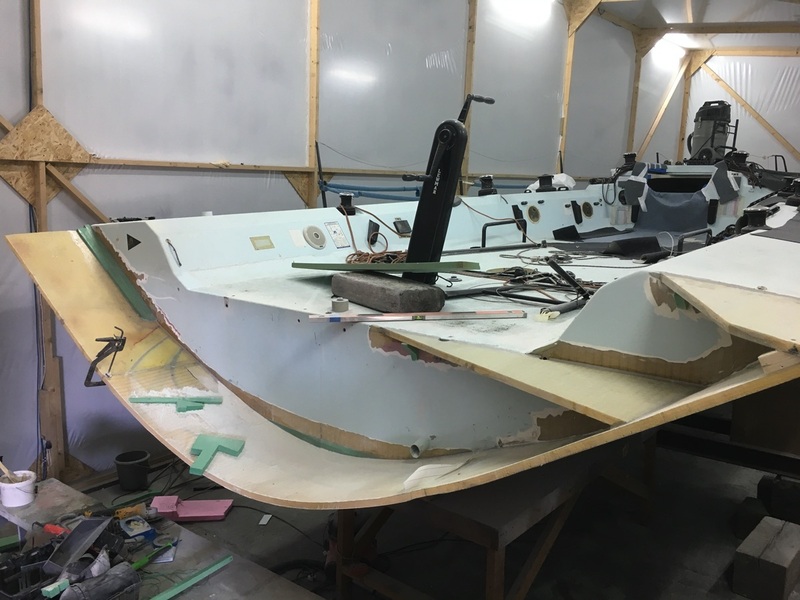 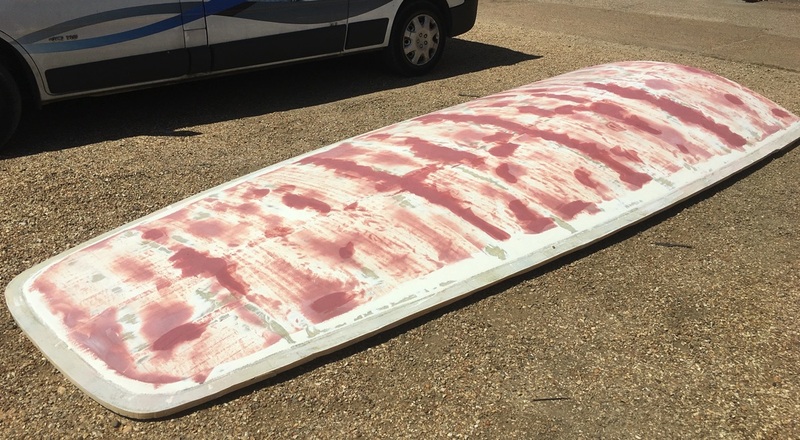 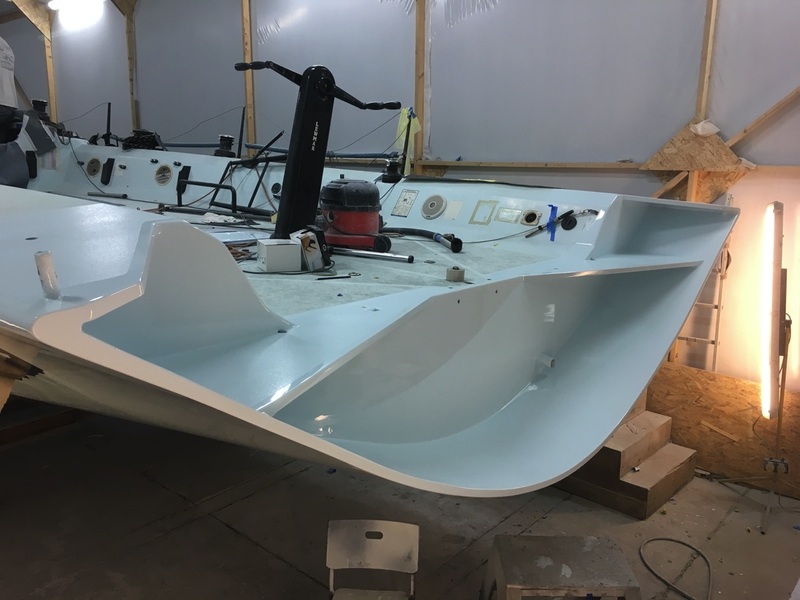 IRC weighing revealed that we had added only 27kg to the boat which, bearing in mind the extra surface area of the transom scoop and the inevitable fairing, means we must have done the job pretty well! 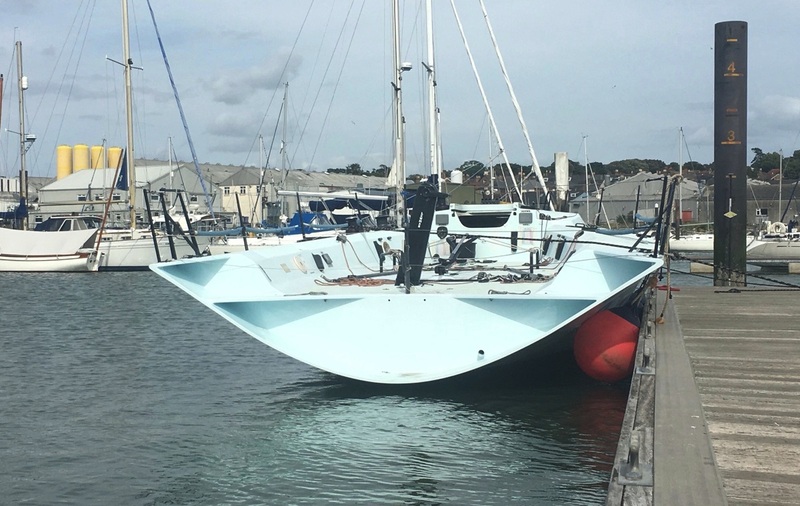 We completed the job in just six weeks during June/July 2017 in time for Cowes Week.